How To Use A Hair Dryer Finger Diffuser? KRSINFINITI is designed for heavy-duty use by salon professionals. It's light weight, perfectly balanced and ergonomically designed. Innovative Tourmaline Ion Technology Hair Dryer dries hair 30% faster with a powerful 1800 watt helps seal hair cuticle, repelling humidity and static for frizz-free shine. Elchim Hair Dryer (Model # 2001) (1600 Watts) the mightiest hair dryer. It features seven switch combinations for seven ranges of speed and temperature The only hair dryer on the world that dry hair faster and protects it. This innovative high pressure hair dryer produce a high flow of air that does not overheat to the point of harming the hair. Used in professional salons. Powerful and practical. 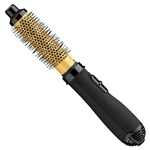 It is chosen by hairstylist for its perfect balance between power, performance. Nozel included. hair, free of thermal damage. Professional Flexi 9' Chord conveniant hanging loop. Professional nozzle, eliminates static with drying. Arrow concentratednozzle. The Unix Turbo 1800 Professional Dryer is a one-of-a-kind hair dryer made to style hair to perfection and leave your hair feeling rejuvenated and silky smooth. Removable filter for incoming hair.